Wall Street is an American drama film released in 1987, directed and co-written by Oliver Stone, starring Michael Douglas, Charlie Sheen, Daryl Hannah and Martin Sheen. The film tells the story of Bud Fox (Sheen), a young stockbroker who becomes involved with Gordon Gekko (Douglas), a wealthy, greedy and unscrupulous corporate raider. The film was made by Stone as a tribute to his father, Lou Stone, a stockbroker during the Great Depression. 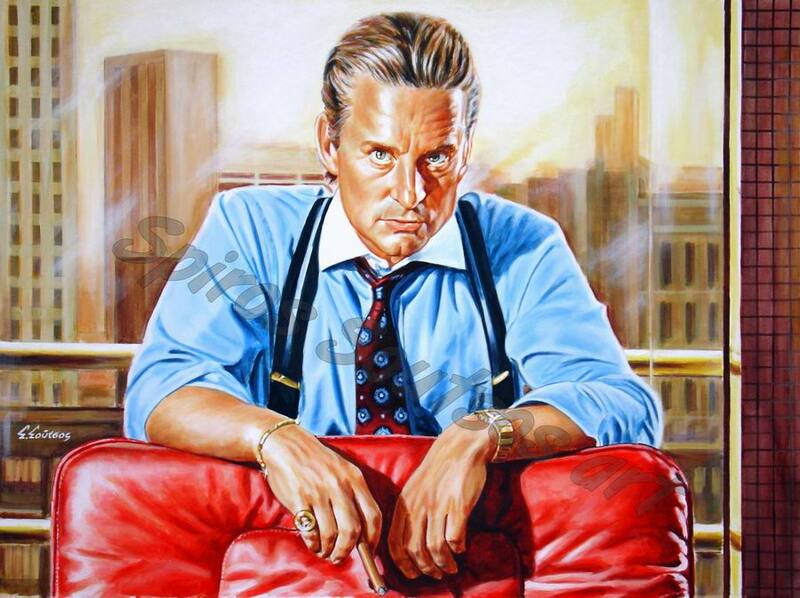 The character of Gekko is said to be a mixture of several people, including Owen Morrisey, Dennis Levine, Ivan Boesky, Carl Icahn, Asher Edelman, Michael Ovitz, Michael Milken, and Stone himself. The character of Sir Lawrence Wildman, meanwhile, was modeled on the prominent British financier and corporate raider Sir James Goldsmith. Originally, the studio wanted Warren Beatty to play the role of Gekko, but he refused the proposal; Stone, meanwhile, wanted Richard Gere, but Gere passed on the role. Finally, Stone went with Douglas even though he had been advised by others in Hollywood not to cast him. The film received good reviews from major film critics. Douglas won the Academy Award for Best Actor, and the film has come to be seen as the archetypalportrayal of 1980s excess, with Douglas’ character memorably declaring that “greed is good.” It has also proven influential in inspiring people to work on Wall Street, with Sheen, Douglas, and Stone commenting over the years how people still approach them and say that they became stockbrokers because of their respective characters in this classic film.